Half of the vegetables grown in the United States are from California. “California is famous for three things: “Hollywood, Silicon Valley and vegetables,” says John Purcell, Monsanto’s global vegetables R&D lead. There’s more similarity between those last two than you might think. The Central Valley of California stretches about 450 miles, running parallel to the Pacific Ocean and encompassing an area the size of a small country. The sun shines three hundred days a year and the hot summers and cool winters are ideal for growing crops. Over two hundred fruits and vegetables thrive — fields of tomatoes, carrots, lettuce, broccoli and watermelon are spread across the valley like a rainbow tapestry. The big players in vegetable technology — agribusinesses such as Dow, Syngenta and Monsanto (now merged with Bayer) — all have a presence. Monsanto’s Woodland vegetable research facility is the largest seed research center in the world. On its 212 acres sit offices, a seed library, greenhouses, a genetic marker lab and fields upon fields of fruits and vegetables. Last year, Monsanto brought me to Woodland at their expense to gather with a group of reporters to “gain an inside look at where agricultural technology (AgTech) is today, and where it’s heading in the not-so-distant future,” per the email invite. Most of the fresh vegetables at my local California supermarket come from the Central Valley. Here the idea of “agricultural technology” has plausible deniability. Browsing the produce section, the most common word I see on packages is some version of “natural”: There’s NatureFresh peppers, Naturipe strawberries and NatureSweet tomatoes, to name a few. There’s no hint that technology has been involved in creating any of these. A packaged medley of colorful cherry tomatoes advertises itself as “Wild Wonders.” What passes for a “Wild Wonder”? The brown tomato in the bunch is the mini Kumato, a patented plant with a thirteen-page dossier. Every tomato in the package is a trademarked variety, grown inside sophisticated hydroponic greenhouses that firmly keep out the wilderness. Real, wild tomatoes are pea-sized and “aren’t very good,” according to Mark Oppenhuizen, Monsanto vegetable R&D strategy and operations lead. These domesticated beauties have been radically transformed by a multitude of human decisions, starting in Mexico during pre-Columbian times. These are tomatoes nature had never generated. The flavors are wonderful, but there’s nothing wild about them. It’s a complete fiction. These tomatoes remind me of a headline I ran across a couple of years ago: “A tomato contains more technology than an iPhone.” That headline is a metaphor that perfectly encapsulates the point that every modern crop is the result of mankind taking the given in nature and transforming it into something radically different. And it’s not just tomatoes — examples of this are all over the place. Corn began as a grass-like plant with tiny cob-like fruits. It wasn’t very nutritious and was completely unrecognizable (without a biology degree, anyway) as the precursor of corn. Wild bananas are tiny, with pulpy flesh, riddled with seeds and encased in a tough peel. Before domestication, they were lean and mean. Kale, cauliflower, cabbage and broccoli all come from the same wild mustard plant, which more closely resembles an old stick than any of these modern vegetables. 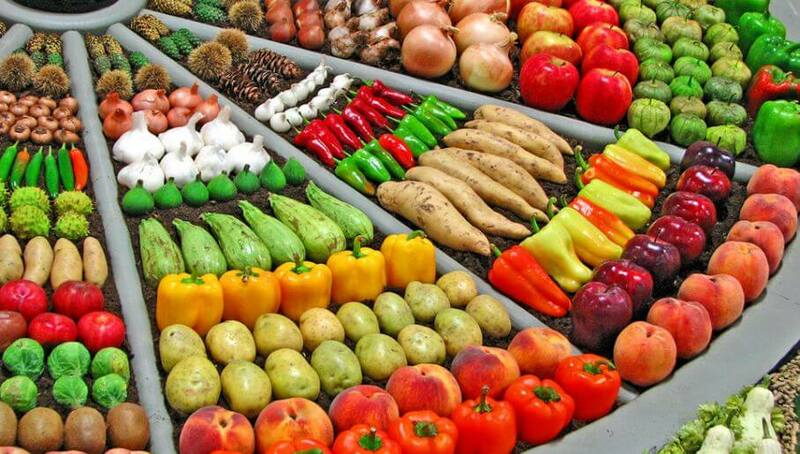 Each vegetable that we enjoy has been transformed through thousands of human decisions into highly advanced products. In other words, into pieces of technology, much like an iPhone. But this isn’t something we celebrate, let alone acknowledge. In the grocery store, natural mythology reigns supreme. And anything that upsets that narrative is likely to be passed over by customers. When we see a smartphone or a computer, the curved lines of metal bezels and high-gloss black plastic immediately signal that this is something created by humans for humans. But with food it’s different. When we see the succulent curves of a tomato or the cheery and convenient yellow peel of a banana, we give the credit for these attractive qualities to the wrong thing entirely. We pluck them from plastic boxes in air-conditioned grocery stores underneath signs that crow “all natural” with nary a thought of how unjust that is to the human beings who created them. According to the makers of the Wild Wonder tomatoes, customers shouldn’t be turned off by the deep brown color of the Kumato since “the brown tone is not due to genetically modified whatevers.” “We don’t do that,” they assure customers without a hint of self-consciousness. It’s not Mother Nature we should be thanking — it’s mankind and its scientists. As I step through the black security fence that encloses Woodland, I’m reminded of the controversy that surrounds Monsanto. Environmentalist groups, such as Millions Against Monsanto and Greenpeace, have made careers out of demonizing and attacking this agricultural company. Just typing the word “Monsanto” into an internet search spits back a list of millions of headlines, rife with conspiracy theories about the allegedly dangerous “unnatural” foods this “evil” company is creating. Its very existence of pushes against a food mythology that most people hold dear: the idea that when it comes to food, natural is better. What I found behind the security gate wasn’t mustache-twirling scientists making food worse through technology, but food entrepreneurs using the latest technology to improve food: in ways both big and small. The great thing about the capitalist grocery store is that shoppers don’t have to be too concerned about where their food comes from in order to fill their carts. Tomatoes almost always make it onto my grocery list, and I don’t often stop to consider them when unceremoniously placing them into my basket. But for those who stop to consider the tomato, the experience is fantastic. And it has the mark of humanity all over it. While in Woodland, I found myself sitting at a table about to do just that. The mock taste test is about to begin. Inside each cup hides a single cherry tomato. 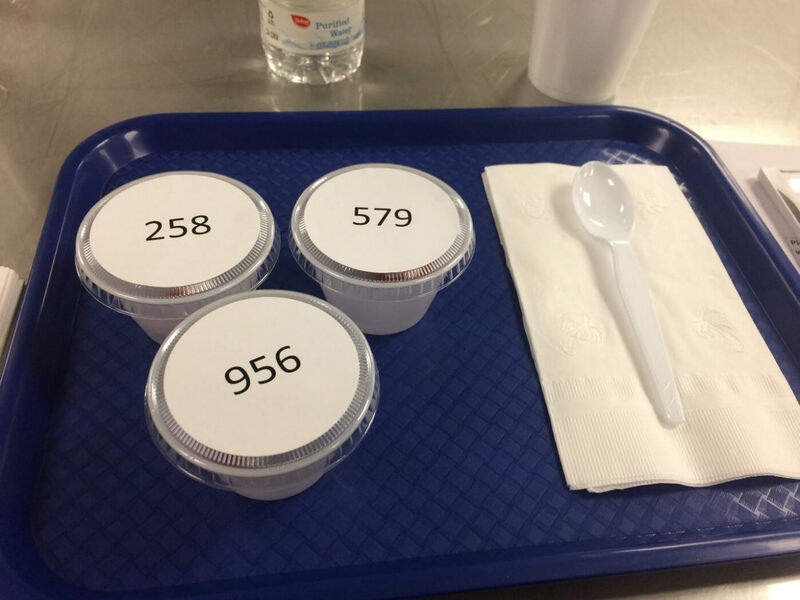 In front of me sits a clean, blue plastic tray set with numbered cups, a plain white napkin and plastic utensil, all neatly arranged. As I sit and begin to fiddle with what’s in front of me, I hear a voice from the front that chides, “Leave the cups in the order you found them.” That’s Chow-Ming Lee, consumer sensory lead at Monsanto. Later I’ll learn why — everything in front of me has been placed there purposefully. I’m there with a group of reporters, participating in a mock taste test. This is how Lee sets up to gather data on his favorite fruit: tomatoes. Lee is obsessed with every detail of tomatoes and engrossed by how consumers experience them. 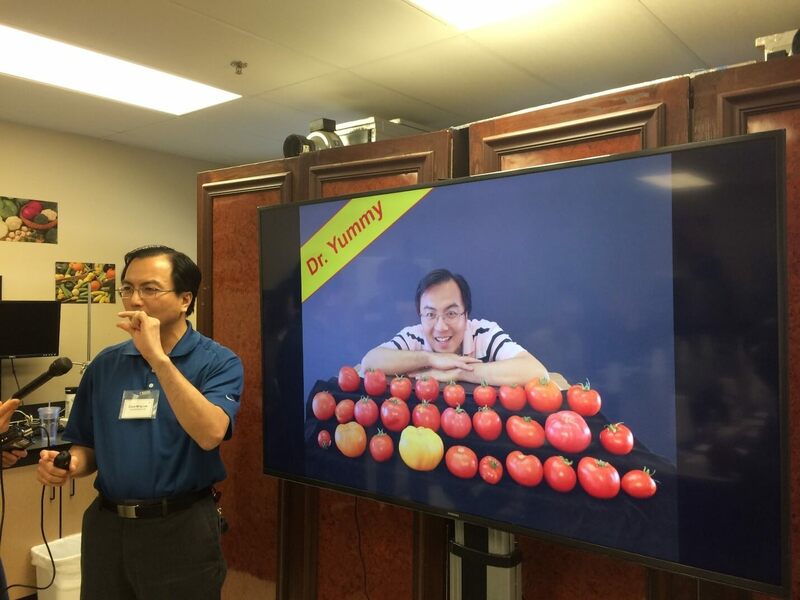 Using the data he gathers in taste tests like this one, he can direct breeders to create better-tasting, higher-quality tomatoes that are ever more tempting. For Lee, finely dialing in each aspect of the tomato adds up to “product advancement.” Like all science, it’s serious business. I open sample 956. There’s a cherry tomato staring back up at me. I focus. In a moment, I’m going to have to rate it. Isolated in this way, it occurs to me that I’ve never really considered a tomato before. It’s a swirl of perfect tomato red in deepening shades, more oblong than spherical. It’s firm, yet it springs back when I squeeze it between my fingers. Lee directs us to pop it into our mouths whole, so as not to “weaponize it.” I oblige. As I bite, there’s a pleasing crunch as the flavor bursts out of a void I didn’t even know existed. I experience it in waves as I chew. A bite of acid is balanced, then overtaken by a note of sweetness. It finishes with a lingering cadence that I can only name as “tomato.” I don’t even have the vocabulary to describe this. After I’m finished, I’m left wanting another. Being able to design this kind of experience would make any smartphone engineer jealous. According to Lee, consumers use all of their senses “to come up with one simple conclusion: I like it.” And if they don’t like it, it can send breeders back to the drawing board. In iPhone engineering, this would be called “usability,” or “focus group testing.” And Lee is “serious about getting good data.” Lee envisions a day when his data could help taste-testing robots “estimate consumers” and predict which varieties are likely to succeed in actual consumer testing. All this so that shoppers like me can pick up delicious tomatoes from grocery stores without having to think too much about it. 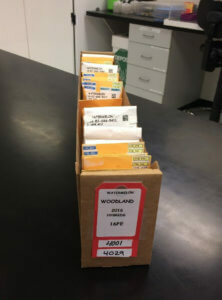 The seed library at Monsanto Woodland. This gene bank contains millions of seeds, says Mark Oppenhuizen. When growing the hardiest and best-tasting vegetables, it all comes down to having the right seeds. Just as a golfer brings all of his clubs to the course, not knowing which type of shot he will need to make, breeders need a diversity of seeds if they are going to create the next generation of plants. Wild tomatoes, for example, may not be all that appetizing but they are adapted to grow in a variety of climes in their native South America. That means wild tomato seeds could offer breeders valuable traits, like disease resistance, ability to survive in a drought or even striped skin, if you are into that kind of thing. But Mother Nature’s gene pool is useless without a great deal of work — it must be turned into a resource. Nature doesn’t catalog, collect and systematize genes for human use. That’s what a seed library is for. In refrigerated rooms at Woodland stand row upon row of shelves, lined with boxes of seeds stacked twice the height of a man. There are millions of seeds in the library, and each packet has a story. Some contain seeds that breeders created last year, others were collected from the wild in seed expeditions in the 1940s and 50s, while others contain varieties popular in gardens in the 1800s. “Our seed companies go back over a hundred years,” says Oppenhuizen. Related article: Pesticides and Food: It’s not a black or white issue, Part 6: Pesticide residues ― Something to worry about? Each packet has a scannable QR code that calls up all known information about the variety in the library database, from disease susceptibility to morphology. Information is constantly being added. But seeds aren’t kept here as museum marvels — one of those seeds might hold the key to solving a problem. 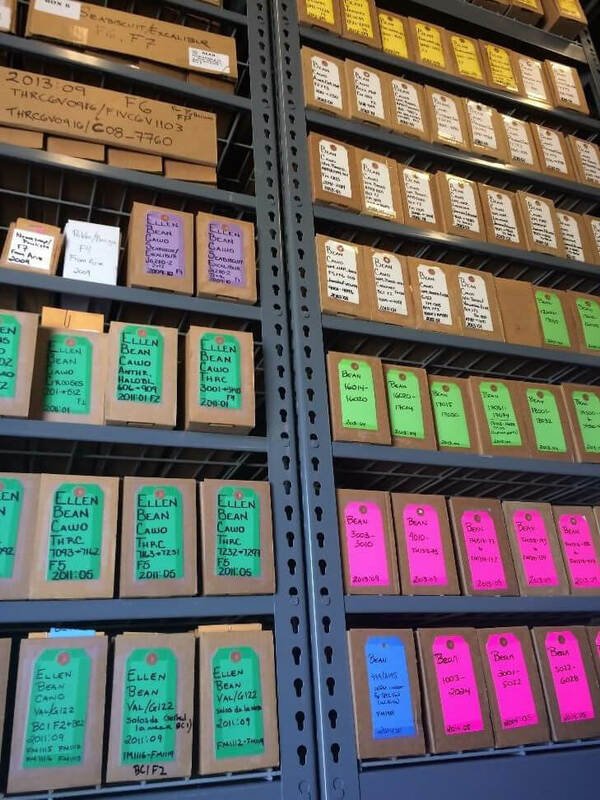 Using modern technology, seed librarians aid farmers in their quest to render harmless the chaos and unpredictability of nature. 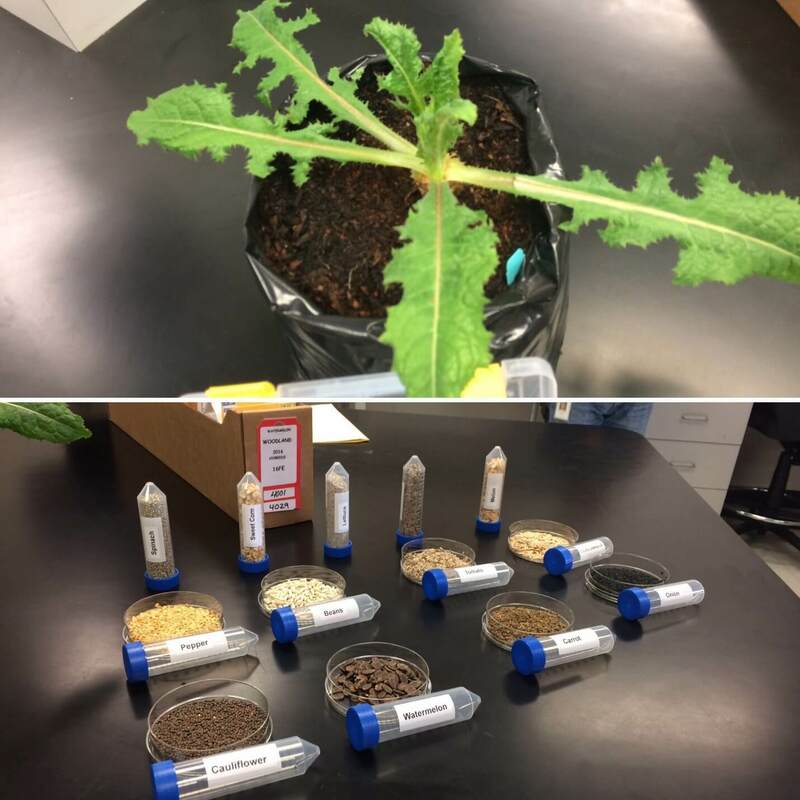 This is what is known as a “working library,” says Oppenhuizen, and in plant problem-solving, “having a diversity of seed is really critical.” For example, if farmers report a fungus sickening their lettuce crop, researchers like Staci Rosenberger, a plant pathologist at Monsanto, get hold of a sample, implant it on a live host to keep it alive and hunt through the library to find a lettuce equipped with genes that would give it some measure of immunity. A diversity of seed in the library means a better chance that she’ll be able to find a lettuce that could help. “It’s like Match.com for lettuce,” says Purcell, the R&D lead. A box of watermelon seeds, pulled from the library. When the right lettuce is found, it is bred with the affected variety. But there is no guarantee that the seeds from this cross will grow into varieties that are both disease-resistant and appetizing. It will take many generations of selective breeding to create just the right lettuce. And it is impossible to tell by looking which seed might be an offspring headed in the right direction. “Marker-assisted breeding” makes that job fast and predictable. Before this technology existed, even a dedicated farmer with careful notes could spend a lifetime breeding generation after generation of plants, one per season, with only a hope that the right lettuce would eventually emerge. Today, offspring lettuce seeds can be sent not into the ground but into Woodland’s genetic marker lab, where a “seed chipper” takes tiny DNA samples. Genes are like recipes in an organism’s cook book — they determine what traits the plant will have, from the shape of a leaf to the color of a fruit. Lab technicians prepare tiny, pinhead-sized DNA samples by the thousands and feed them through a machine that determines what those traits are. A tomato, for example, has approximately 31,000 genes, more than a human. Along those long and winding roads of DNA, about a hundred regions have been “flagged” or matched to the traits they produce in the plant, including regions that control disease resistance, color and flavor. Researchers in this part of the facility act like the Lewis and Clark of the plant genome. They explore uncharted DNA, creating maps and flagging genes that will help breeders decide which seeds should be planted. Instead of canoes and pencils, they use molecular biology, statistics, information technology and precisely engineered machines to complete their expeditions. All this to help breeders upgrade lettuce, melons and tomatoes. And it’s not only positive traits that marker-assisted breeding can screen for. In potatoes, for example, breeders must keep a close eye on the glycoalkaloid production. 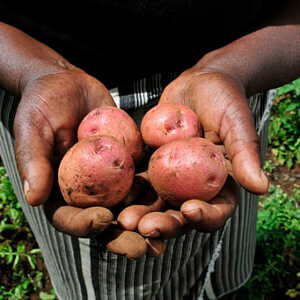 Glycoalkaloid is a natural substance potatoes produce in defense against insects and fungus, but potatoes that produce too much can be toxic to humans. 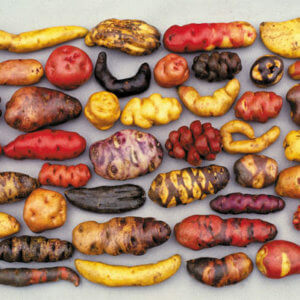 Monsanto scientists don’t concentrate on potatoes, but elsewhere, potato scientists are working to flag genes that control this trait to help avoid accidentally breeding toxic tubers. Top: An unappetizing lettuce grows from library seeds. Bottom: Various seeds in dishes. Marker-assisted breeding is not considered “genetic engineering,” although in terms of the goal of creating superior plants, there is little difference between the two methods. DNA is the software of the plant — it tells the hardware how to grow. Marker-assisted breeding screens for the seeds with the best operating systems, created in the random happenstance of sexual propagation; genetic engineering, on the other hand, changes the code directly. In genetic engineering, single genes that produce desirable traits are transferred one at a time from one plant into another before breeding. Each technology has its advantages. Genetic engineering is the clear winner when desired genes are known or when the gene that is key to creating a superior vegetable comes from a different species. For example, Golden Rice borrows genes from corn and a common soil microorganism. These additional genes give rice the power to produce pro-Vitamin A, the same nutrient, found in carrots and spinach, that helps to prevent blindness. A rice-only mating program could not possibly create it. Conventional marker-assisted breeding is the winner when a trait is controlled by many genes, or when the genes that code for the trait you are looking for aren’t precisely known. Genetic engineering is a relatively new technology, emerging in the last thirty years, but in terms of the goal of food improvement, it is not different in kind from older technologies involving cruder forms of genetic modification such as artificial selection. It is interesting to note that the most precise tools, transgenics (GMOs) and more recent advances in new breeding techniques such as gene editing, are also the ones most viciously attacked by environmentalists. They work tirelessly to shut down any attempt to use genetic engineering, whereas messy marker-assisted breeding, in all its technical glory, somehow escapes their ire. enetic engineering is considered impious because it isn’t “natural,” or as one prominent anti-GMO activist puts it, because it is “pollution” of the genome. In truth, the foods we enjoy today are the product of thousands of years of human-influenced changes. 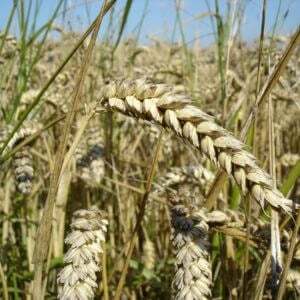 Genetic modification that did not — could not — have occurred ‘naturally’. Thankfully, the abundant foods now available have been radically altered from their natural states; improving food is a distinctly human activity, and an intensely moral one, no matter the tool we reach for. In Silicon Valley, an entrepreneurial attitude is part of its identity That attitude is called “crushing it” or “changing the world.” Changing the world can mean engineering a new app that everyone wants or writing code that controls a fleet of self-driving cars. I found the same entrepreneurial attitude alive in “Vegetable Valley.” In Vegetable Valley, changing the world could mean you uncovered a disease-resistant strain of romaine or cherry tomatoes have a smoother finish this year thanks to your data. And what goes into “changing the world” this year may not be good enough to do it next year. The grocery store is full of change, if you stop to notice. Miniature watermelons are now available. So are tiny peppers and carrots cut baby-sized. Garlic on the other hand, is grown colossal-sized and strawberries seem huge compared to what I used to get as a child. I experienced a jolt of delight earlier this year when heads of neon purple and orange cauliflower showed up next to the plain white variety. I buy them just for the fun of it. Hopefully, genetically engineered apples that don’t brown when sliced will soon be available. I’ll even buy Kumatoes as a thank-you to some anonymous food innovator who thought that I would find a deep-chocolate-colored tomato intriguing. It’s only through human technology that we have access to a cornucopia of ever-improving produce. It’s time to ditch the mythology. When it comes to growing food, nature is the wild we tame, the chaos and disease that we keep out of the greenhouse and the raw genetic materials we transform into seed resources. The real story of agriculture is the transformation of the rare, inefficient and scarce into the common, plentiful and cheap. It’s the story of creating living technology to solve problems that have plagued generations before us. It’s the entrepreneurial quest for the best, even in the face of the pretty good. Agricultural technology is something to celebrate, not shun. Philosopher Ayn Rand said that a scientist “is a man whose mind does not stand still.” And if it is to make our lives better, the technology created by scientists can’t stand still either. That’s true for both smartphones and tomatoes. Meeting the challenge is what it means to be human.